Home » How to watch Blu-ray with Seagate GoFlex TV HD Media Player? However, due to Blu-ray copy protection issues, you are unable to play Blu-ray movies via the Seagate FreeAgent® GoFlex™ TV HD Media Player directly. The solution for you is just using an available tool to help you watch Blu-ray with Seagate GoFlex TV HD Media Player. The app we recommended is Pavtube Blu-ray to Seagate GoFlex TV HD converter, which is professional in Blu-ray decryption and conversion. Go to see a detailed guide on how to backup Blu-ray to Seagate GoFlex TV HD Media Player for playback with Pavtube Blu-ray to Seagate GoFlex TV HD converter. Step-by-step guide: How to backup Blu-ray to Seagate GoFlex TV HD Media Player for playback? Step 1: Free download Pavtube Blu-ray to Seagate GoFlex TV HD converter, install and launch it. Once you run it, click “BD/DVD ROM” or “BD/DVD Folder” to load your Blu-ray movie files. Once your source movie files are loaded, you can directly click “Full Disk Copy” to backup Blu-ray to Seagate GoFlex TV HD Media Player. Once the copying task is finished, you can click “Open” button at the bottom of the main interface to get the resulted M2TS files with ease. Now you are ready to watch Blu-ray with Seagate GoFlex TV HD Media Player in full 1080p with vibrant surround sound. In case you wanna save your storage space as well as remain the HD 1080p image quality, you can consider converting Blu-ray to another HD format that is compatible with Seagate GoFlex TV HD Media Player. Please do as below when your Blu-ray movie files are added into Pavtube Blu-ray to Seagate GoFlex TV HD converter. 1. 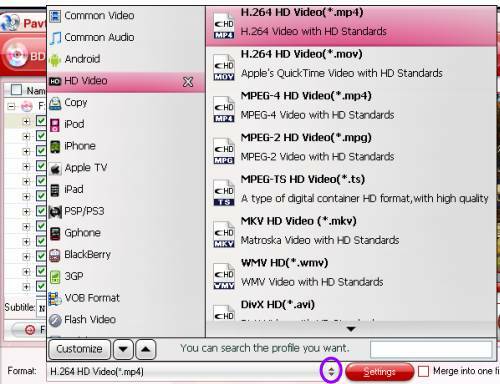 Click on the drop down list of “Format”, and then choose “HD Video”, after that you will see there are lots of HD video format presets, including H.264 HD Video, MPEG-4 HD Video, MKV HD Video, MPEG-2 HD Video, DivX HD Video, and more. 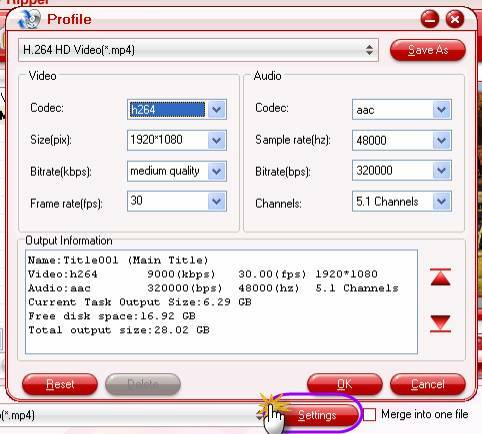 We select “H.264 HD Video (*.mp4)” as an example. 2. Click “Settings” button to adjust video and audio parameters to customize the output file quality for your Seagate GoFlex TV HD Media Player. To watch Blu-ray with Seagate GoFlex TV HD Media Player in your desired quality, Pavtube Blu-ray to Seagate GoFlex TV HD converter allows users clicking “Settings” button to adjust video and audio parameters to customize the output file quality. The adjustable options include codec name, aspect ratio, bit rate, frame rate, sample rate and audio channel. 3. Click the big button “Convert” to backup Blu-ray to Seagate GoFlex TV HD Media Player. With multi-thread encoding technology and optimized audio and video sync technology, Pavtube Blu-ray to Seagate GoFlex TV HD converter is able to finish conversion at speed, and will never let you encounter troubles caused by audio and video out of sync issues. 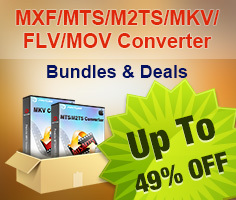 In addition, it adopts unique built-in codec, which can absolutely ensure not to install any codec on your computers to disturb the original systems. Once the Blu-ray backup is completed, you can click “Open” button to get the converted files effortlessly. Just watch Blu-ray with Seagate GoFlex TV HD Media Player to make more fun.